If your doctor has recommended geriatric rehab for you in Swansboro, North Carolina, then you may be wondering who in your area provides that service. Our physical therapy team at Peak Performance specializes in geriatric rehab. We are located at 656 West Corbett Avenue in Swansboro, NC. About 30% of our patients are over 60, so we have experience evaluating and treating the illnesses and injuries that affect seniors. Geriatric rehab at Peak Performance isn’t just about helping you with the illness or injury that you have right now. It’s also about helping you get back to the most active and enjoyable life you can have no matter how old you are. There are a variety of tools that our team may use to help you find these improvements to your quality of life. One of these tools that may be included in your therapy plan is balance therapy. Balance therapy focuses on specific exercises that help improve your balance and increase your confidence while walking. Ultimately, our goal is to help improve your quality of life. 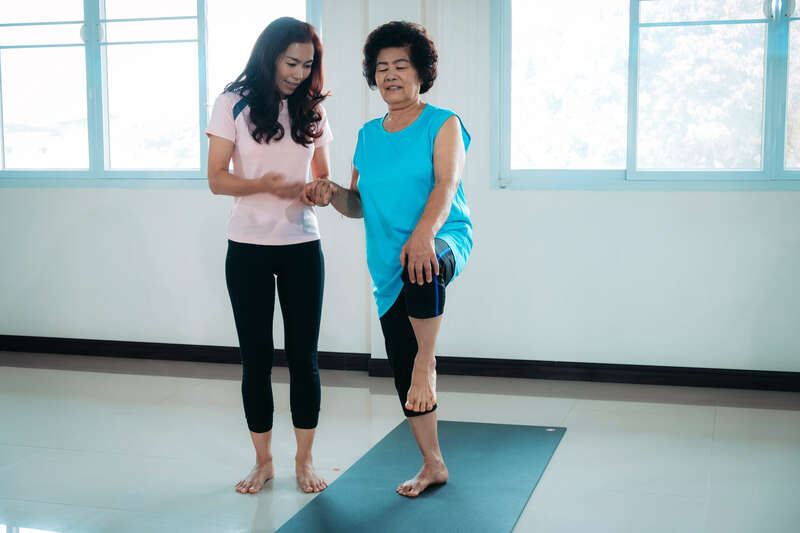 Come visit Peak Performance Physical therapy to discover how geriatric rehab program is a great way to get you back to the activities you love. At Peak Performance, our team at 656 West Corbett Avenue is ready to help you get started with your geriatric rehab process. As the first step in your physical therapy journey, our team will have you come into our office for a comprehensive initial assessment. This initial appointment will help us diagnose what is causing your pain. With this information, we can create a personalized treatment plan specific to your needs and goals. For more information about our geriatric rehab services or to schedule an appointment, contact Peak Performance now.